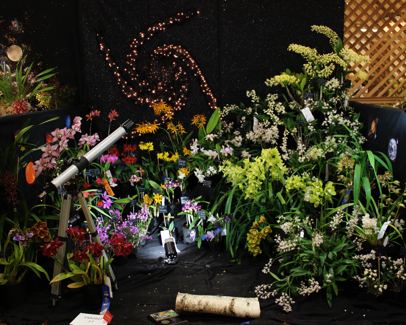 With the influx of new members and the onset of the spring and summer growing season, our April meeting will be devoted to select aspects of orchid culture as well as addressing specific questions meeting attendees may have for the expert panel. This program is an exciting opportunity for both new and long-term POS members to learn about or become re-acquainted with the fundamentals of orchid culture presented by our own panel of advanced POS hobbyists, who have many years of experience in growing a variety of orchid genera. The expert panel consists of Merle Robboy (watering and fertilizing), Jerry Spencer (orchid pests and diseases), and Alex Nadzan (growing mixes and repotting). Each panelist will share their experiences (10-15 min. each) on three major aspects of orchid culture, then address questions members and guests may have on any topic of orchid culture. Members are encouraged to submit questions in advance to twisniewski1@cox.net or just raise them at the meeting. We also have asked three of our members (Ken Campbell, Wendy Daneau, and Maryanne Kind) to share a few tips (3-5 min. each) on how they successfully grow orchids under their own conditions. This is a very timely program that should aid members in producing healthy, vigorous plants and reward their owners with copious displays of flowers for the upcoming growing season. April’s opportunity table will be supplied by Cal Orchid, Santa Barbara, CA. James Rose is one of our favorite growers and we took the opportunity at the SDCOS show to purchase these plants at a good discount. They include a number of Cal Orchid’s cattleya alliance hybrids plus some select orchid species. 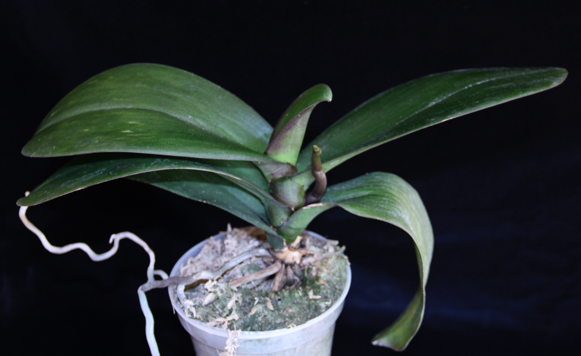 Monopodial orchid include members of the Phalaenopsis (shown), Paphiopedilum and Vanda alliances. 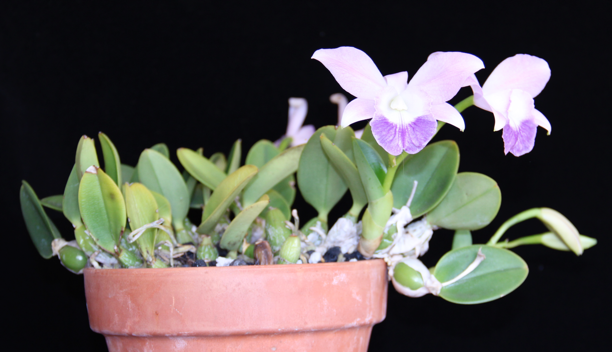 Sympodial orchids include members of the Cattleya (Lc. 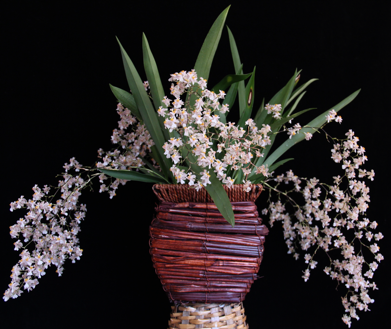 Love Knot shown), Oncidium, Dendrobium and Cymbidium alliances. Proper air, light, temperature, water and fertilizer contribute to producing healthy, floriferous orchids as shown. 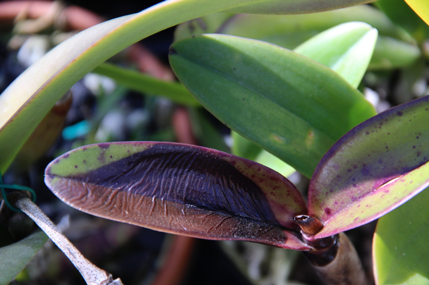 A variety of different potting media and mixes can be used to successfully grow orchids. 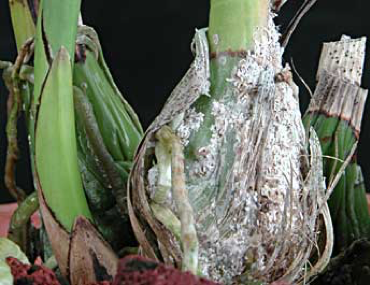 Detecting and treating diseases (black rot, left) and pests (scale, right) early can avoid spreading to other orchids in your collection (scales pic from AOS website).